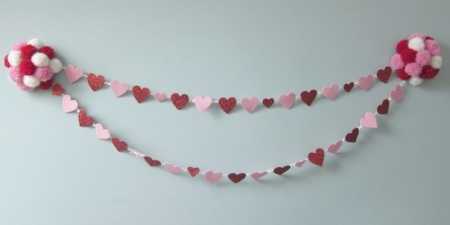 Here is a wonderful little garland for Valentines day. It’s perfect for home, or for at school. Kathy, at Just Crafty Enough gave us a whole detailed DIY so you can make one at home.